If you’re in the market for a world-class Italian sports coupe, convertible, or high-end luxury car, then you’ve come to the right place. 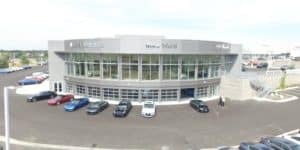 Mike Ward Maserati of Denver has a superior selection of premium Italian models, including a wide range of Maserati vehicles as well as a selection of Alfa Romeos. We’re proud to serve drivers in Boulder, Colorado Springs, Parker, Golden, and beyond with Colorado’s #1 selection of Maserati vehicles. At our boutique dealership, we want to project the painstaking care and precision of the Italian performance and luxury cars we sell, and we’re committed to doing this throughout every aspect of our dealership. This begins with the personalized treatment you’ll receive from our staff. Each member of our team has been highly trained to understand the engineering and design details of each vehicle in our dealership, and we will work with you, listening to your needs and desires to make sure that we can help you find a vehicle that fits the exact profile you’re looking for. Count on our Maserati service department for all your Maserati maintenance and repair needs, including oil changes, brake repairs, tire replacements, tire rotations, filter replacements, and even major repairs. We offer a personalized service experience as well, including personalized advice and express service for basic maintenance services. You can also schedule your service online to expedite the service process. Mike Ward Maserati of Denver is located at 1850 Lucent Court in Highlands Ranch, CO. Stop by our dealership during our sales hours Monday through Saturday, and feel free to contact us to find out more. Please visit our other Mike Ward stores as well: Mike Ward McLaren, Mike Ward Alfa Romeo, Mike Ward Fiat, and Mike Ward INFINITI. Mike Ward is Denver, Colorado‘s premier luxury automotive group!